When you are crossing borders, your manual will as well. But as your product barely needs adjusting, your manual could very well be put upside down. That’s because an easy to understand manual is, preferably, a manual in the local language. In most cases, translated manuals are mandatory in the European Union. This is because the EU wants to be sure that a user understands his manual without a hitch. This means using the mother tongue of the customer is the best way forward. Manualise is an expert in translation and localization. We can translate multiple manuals in multiple languages in one go – if so desired. What is translating and what is localizing? Translations will cost you money. So, there is a barrier here. Why overcoming this barrier? Translation could very well be mandatory. European directives state that working instructions should be understandable for the end user. As a consequence, more often than not one cannot escape translating a manual. The need to translate is explicit in some cases, for example in the European Machinery Directive. At any rate, manuals in one’s mother tongue are user friendly and customer friendly, especially when it comes to consumer products. Manualise knows exactly when a translation is mandatory. We can also tell you when it is not necessary to translate your technical documentation. For example, when your company uses Simplified Technical English (STE), translation probably won’t be necessary. STE is simple enough to be understood by non native speakers. Often translations are mandatory, due to European directives. A special memory with translated phrases leads to a sharp reduction in costs. Machine translating, as done by Google for example, can be good alternative in some cases. Translations are perceived as customer friendly. A terminology list does not only save costs, but also assures consistency. Strictly speaking, translating a document is more than switching to another language. Let’s take a simple example. In the Netherlands, national standards for all kinds of products or procedures are called ‘NEN norms’. In Germany, these standards go by the name of ‘DIN norms’. One cannot use the term ‘NEN norm’ in a German text, simply because this term has no meaning in German. Replacing ‘NEN norms’ by ‘DIN norms’ is an example of ‘localizing’. Another example: in the UK, the steering wheel of a car is on the righthand side, not on the lefthand side – as is the case with cars on the European continent. When translating a manual, it it important to take such differences into account. 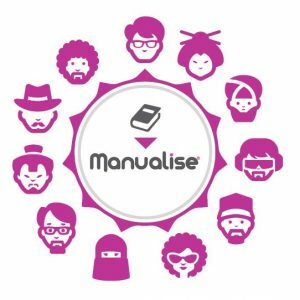 Manualise knows its way around in the world of freelance translators and translation agencies. We are absolutely convinced that we can find the right translator(s) for you. With “right translators” we mean translators who possess the knowledge that is necessary to understand your business. For example, when you are working in the aviation industry, “Gear down” does not mean “Lower speed”, but “Put the landing gear of the airplane into position”. It is of course of utmost importance to deliver your translations on time. We’ll make sure you don’t need to worry. Translating your manual will cost you money. Often, translators will charge you each word they translate. What are deciding factors when determining the word price? Can translation memories be used for the most common phrases? Is a terminology list available? Is it possible to go for machine translating and post editing? Translation memories – If a number of phrases has been translated already, a translator or translation agency can charge you less than would otherwise be the case. Terminology list – Do you call your boss a Managing Director or a CEO (Chief Executive Officer)? A terminology list will do away with such confusion. Because a terminology list also implies much less confusion on the part of the translator, he can be more cost effective in offering you his services. Machine translation and post editing – Suppose you use an automatic translation engine to do the job for you, let’s say Google Translate. If such results would be good enough, a translator ‘of flesh and blood’ can do the fine tuning. This way, you could save yourself quite some money. 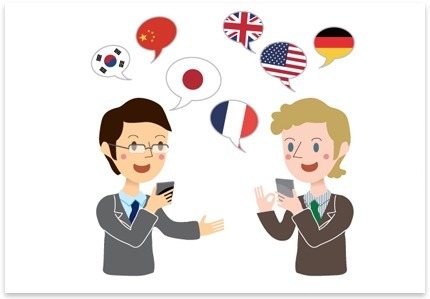 We would like to help you any way we can when it comes to translation and localization. And yes, our eyes are also on cost effectiveness. We are constantly on the lookout for the best combination of high quality and low costs. Would like like to know more about translation and localization?